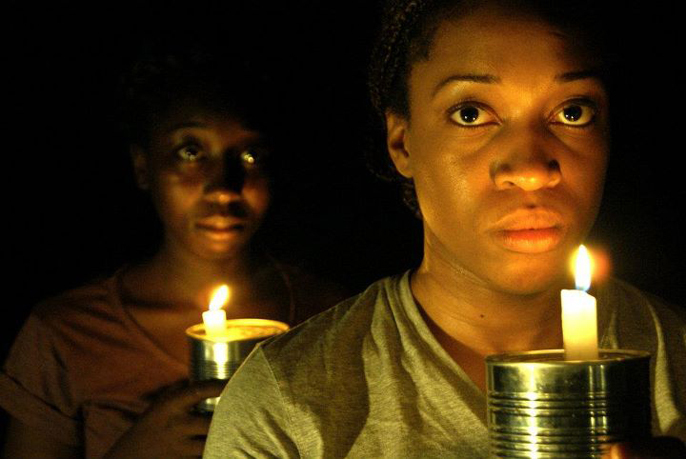 Created in response to the death of Charlotte Wilson, a school-friend of the director, at the hands of the PALIPEHUTU-FNL, this is a powerful, thoughtful, theatrical response to the ongoing troubles in Burundi, Rwanda and the African Great Lakes Region. Each audience member is invited to take a place at a table alongside the performers and to eat, drink and join a remarkable, moving act of shared remembering and questioning. This uniquely intimate and immersive performance explores the shockwaves from the 1993 assassination of Burundi’s President Ndadaye backwards through colonialism to ancient legend and forwards to the Rwandan genocide and on-going conflict in the Democratic Republic of Congo. Drawing on sources ranging from original interviews with refugees and campaigners to UN Reports, this bold and original event takes visual and verbatim theatre to new places, to create a unique theatrical experience that explores the subtle and dangerous relationships between history, myth, identity and violence.